A relieved Willie Mullins greeted Yorkhill and Ruby Walsh as they arrived in the winner's enclosure after taking the first race of the day by a length from the fast-finishing Top Notch. Yorkhill, the 6/4 favourite, was Mullins' first winner of The Festival 2017 after a disappointing two days that included the defeat of odds-on Douvan in yesterday's Betway Queen Mother Champion Chase. "He [Yorkhill] was good - I thought he idled a bit in front; I thought he might go away from them. For a moment going up the straight it looked like he might be coming back to them, and then held on. "He's not the easiest of rides. The way things were working out over the last few days I thought we might be too far behind, but I know what would be going through his [Ruby's] head: if you let him pass one horse he probably would have been in front by the next fence, and Ruby just had to sit and suffer until he got the gap through on the inside, and it all worked out. "To get on the board is huge, and to get on the board in a Grade One is better. It's good for me, it's good for Ruby, and it puts confidence back in the team. It's been a hard few days but that's the way it is. It wouldn't be any fun winning over here if it was easy, so we take what we can get. "I thought Douvan was a huge disappointment, and a very good mare [Apple's Jade] beat us in the mares' race [the OLBG Mares' Hurdle, where Mullins' pair of Vroum Vroum Mag and Limini finished second and third]. The other horses I think ran their races - we had a lot of placed horses. "Douvan was quite lame this morning again when I brought him out. We had a good look over with the vets. He's on the way to get an MRI scan either later this afternoon or tomorrow. It's something up in his hindquarters, we think - it looked like his near hind leg, and we think it is above the hock from the way he is carrying himself. He was quite sore last night but is more comfortable today. I should think that is it for the season with him and we'll look forward to next season." Ruby Walsh gained his first winner of the 2017 Cheltenham Festival and his 53rd success at the meeting, courtesy of the Willie Mullins-trained 6/4 favourite Yorkhill's impressive victory. Held up at the back of the field early on in the two miles and four furlong contest by Walsh, the seven-year-old son of Presenting jumped and travelled superbly throughout and scythed through the field entering the home straight to challenge for the lead. Leading the remainder approaching the final fence, Andrea & Graham Wylie's idled out in front up the punishing Cheltenham hill, but stayed on resolutely for Walsh's urgings to record a length success, fending off the sustained challenge of Nicky Henderson's Top Notch (7/2). 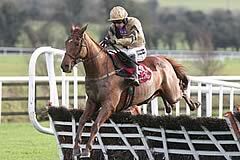 Long time leader Disko (4/1), trained by Noel Meade, was a further three lengths behind in third. In what has been a frustrating week for the formidable partnership of Walsh and Mullins, which included the shock defeat of 2/9 favourite Douvan in yesterday's Grade One Betway Queen Mother Champion Chase, the Irish jockey was visibly delighted to get on the scoresheet. Walsh said: "I could have done with holding onto him a little longer as he doesn't do a lot in front. He went to the second last and absolutely pinged it and it was then I knew I was in front too soon because he stumbled through the last. "As soon as Top Notch came back at him though, he went again. He is a very good horse." Walsh spoke with adulation about Mullins' charge, commenting: "There has been a lot of toing and froing about whether we stay hurdling or go chasing but, to me, Yorkhill has Gold Cup written all over him and always had. "People criticise his jumping but he has a huge kink in him. People never realised the job Paul Nicholls did with Denman because he was the same. He had a kink too and they are two chestnut Presentings. The best ones always do. "Yorkhill has a massive engine. [David] Casey is always raving about him. It was brilliant." Reflecting on the disappointment from earlier this week, Walsh added: "Everything can't go your way all the time. That is sport. You have to keep looking forward." 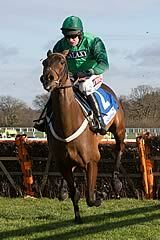 Winning owner Graham Wylie was registering his 12th success at The Festival and said: "Today he jumped magnificently. He was as straight as a die, didn't jump left and was well settled at the back. He was nearly brought down at the back - he is as clever as Einstein, that horse. "Coming to the last, if he jumped, I knew that he was going to win. Top Notch ran a great race though and pushed him right to the end. I know my fellow tends to go a bit slow when he gets to the lead but thank goodness he did it. "I am proud that the horse did himself justice because he has been crabbed for his jumping and I think today showed that he can jump and has got a big engine. I am pleased for Ruby and Willie because they have had a miserable two days and now we have got one on the board for them." DID PLUMPTON PUT MOCKERS ON TOP NOTCH? Did Plumpton racecourse send down a curse that prevented Top Notch winning today? That thought, delivered with a rye look, was offered by trainer Nicky Henderson after Top Notch under Darryl Jacob finished second, beaten a length, by 6/4 favourite Yorkhill - had he won he would have collected a £60,000 cheque from the Sussex racecourse as part of the Plumpton SIS Cheltenham Bonus, offered to winners of five designated chases at that venue, plus any chase at The Festival. Top Notch and Yorkhill were more or less in line with third-placed Disko at the second-last, when Jacob's mount put in a slower jump than his rivals and his chance of winning became much harder. He rallied past Disko on the run-in, but could not reel in the winner. Henderson said: "He was brilliant all the way, but he just lacks that bit of scope. He just did his own thing [at the second-last], but hasn't got the scope of those big horses to be able to go and really stand off. He's not the size of [RSA Chase winner] Might Bite, but he's got a better head than Might Bite. "He dug in on the run-in, but now he's been second in a Triumph Hurdle and second in this race, but still you can only admire him. I didn't really see what happened at the second-last, but one moment I thought he would land in front and the next he was behind. It was expensive, but how expensive we'll never know. "Plumpton will be grateful - that's just saved them £60,000. Perhaps the chairman of Plumpton organised that little error! "He'll run again this season - Aintree will suit him and he'll go there." Bryan Cooper, who rode Disko, said: "He ran really well and I was very happy with him. His jumping was good, and he's still a big, raw horse so he should get further in time."